James Prescott Joule studied the nature of heat and established its relationship to mechanical work. He laid the foundation for the theory of conservation of energy, which later influenced the First Law of Thermodynamics. He also formulated the Joule’s law which deals with the transfer of energy. 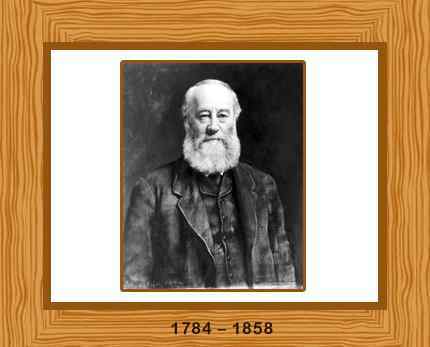 Born in Salford, Lancashire on December 24, 1818, James Prescott Joule’s father, Benjamin Joule was a rich brewer, and his mother was Alice Prescott. James was mostly home schooled due to being delicate in health. He studied arithmetic and geometry under John Dalton at the Manchester Literary and Philosophical Society. He was later taught by famous scientist and lecturer, John Davies. At the age of fifteen he started working in the brewery in addition to his studies. James enjoyed experimenting with electricity and a servant girl became unconscious as he inadvertently gave her electric shocks. Joule managed the family brewery from 1837 to 1856 and he carried out experiments in laboratories in his house and in the brewery. His first experiments concerned electric motors with a view to replacing the steam engines in the brewery with electric ones. This led him to discovering “Joules Law” in 1840. He established a relationship between the flow of current through a resistance and the heat generated. Joule’s law states that the amount of heat per second that develops in a wire carrying a current is proportional to the electrical resistance of the wire and the square of the current. Joule then carried out experiments using a paddlewheel and calorimeter and in 1843 Joule announced his determination of the amount of work required to produce a unit of heat (the mechanical equivalent of heat). The results his experiments were fully described in his famous 1845 paper “On the Mechanical Equivalent of Heat” and they established that heat and mechanical work are both forms of energy. His efforts became the cornerstone of the theory of conversation of energy (the First Law of Thermodynamics). He collaborated with Lord Kelvin on the formulation of the absolute scale of temperature. In 1852 they discovered the Joule-Thomson effect, showing that that when gas is expanded, without production of work, its temperature falls. This concept was later used in refrigeration. Joule also carried out extensive research on magnetostriction; a property of ferromagnetic materials that makes them modify their shapes when exposed to a magnetic field. He was the first scientist to identify this property in 1842 during an experiment with a sample of nickel. He is also credited with the first-ever calculation the velocity of a gas molecule. The derived unit of energy or work, the Joule, (J) is named after him. Joule was elected to the Royal Society of London in 1850 and he received the Royal Medal in 1852 for his paper “on the mechanical equivalent of heat”. In 1870 he was awarded the prestigious Copley Medal of the Royal Society “for his experimental researches on the dynamical theory of heat”. He also served as the president of the British Association for the Advancement of Science. In 1847, Joule married Amelia Grimes and they had two sons and a daughter. Amelia and his second son both died in 1854. James Prescott Joule died on October 11, 1889 in Sale, Greater Manchester, England after a long illness. He was 70 years old.